At Christmas, we celebrate the Incarnation---the stunning miracle by which the eternal Son of God, while not ceasing to be fully God, became fully human in the person of Jesus Christ. As noted by Thomas F. (T.F.) 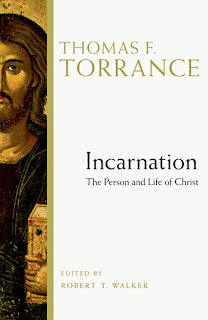 Torrance in the book Incarnation, the Person and Life of Christ, the Incarnation is a "redeeming event" by which the Son of God assumed "our unholy humanity" with the result being that, "his purity wipes away our impurity, his holiness covers our corruption" (p82). This association of the Incarnation with our redemption is often overlooked at Christmas; yet it is central to the Christmas story. As T.F. notes, through the Incarnation, God, in the person of Jesus, permanently united our human nature with his divine nature. The result of this union (which includes us in Jesus' birth, life, death, resurrection and ascension), is that humanity is given to share in the righteousness of Jesus: "Not only the negative righteousness in the remission of sins but also a share in the positive righteousness of [Jesus'] obedient and loving life lived in perfect filial relation on earth to the heavenly Father" (p82). 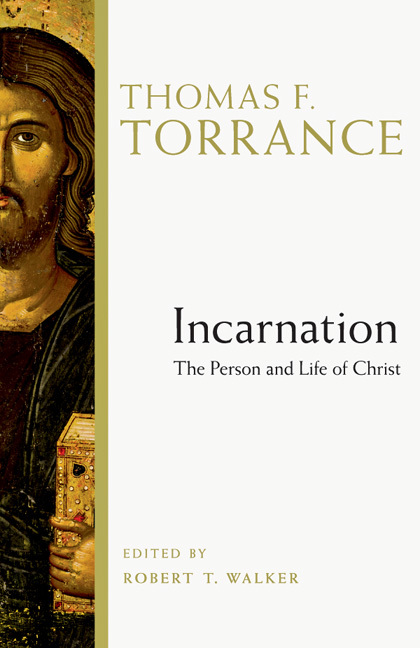 Thus, according to Torrance, our redemption involves not only the forgiveness of sin by sharing in Jesus' death, but also "the filial relation which the Son of God lived out vicariously in our humanity in perfect holiness and love. He achieved... [this redemption] in himself in assuming our human nature into oneness with himself, and on that ground gave us to share in it, so providing us with a fullness in his own obedient sonship from which we may all receive" (p. 82). May we this Christmas hear afresh the stunning message of the redeeming nature of the Incarnation. And may we, in believing (sharing Jesus' own belief), receive what he so graciously has provided---a share in his relationship with God his Father, and now ours. May we all hear and share the fresh message of grace! Thanks for sharing, Ted. Merry Christmas! I have been in off and on conversation with a friend of mine, a child of God who is convinced that his sin is greater than God's forgiveness and that all he will receive from God is a angry rebuff. Well, that is how he felt when we first met... He got his start in a Christian church that was heavy on law and light on grace. When he needed love and understanding, he received judgment and condemnation. I am glad to say that his relationship with the Father is improving daily (although his fleshly struggles have not abated as much). To be able to share with him the love and forgiveness - the all-consuming grace - which came down to us from the Father in bodily form is truly the greatest gift of all! Although I don't get the time to spend with him that I would like, what time we have spent has enriched us both and his walk with Jesus is looking better all the time. "Go tell it on the mountains... Jesus Christ is born!" Our world doesn't know that it is hungry for the true significance of the continuing incarnation of our Lord and Savior, Jesus Christ! Believing that His incarnation continues and that by this we are forever included in the life of the Triune God is huge! When we make a place for this thought in our hearts and minds, we are truly MAGNIFYING the Lord and His Good, Good News!